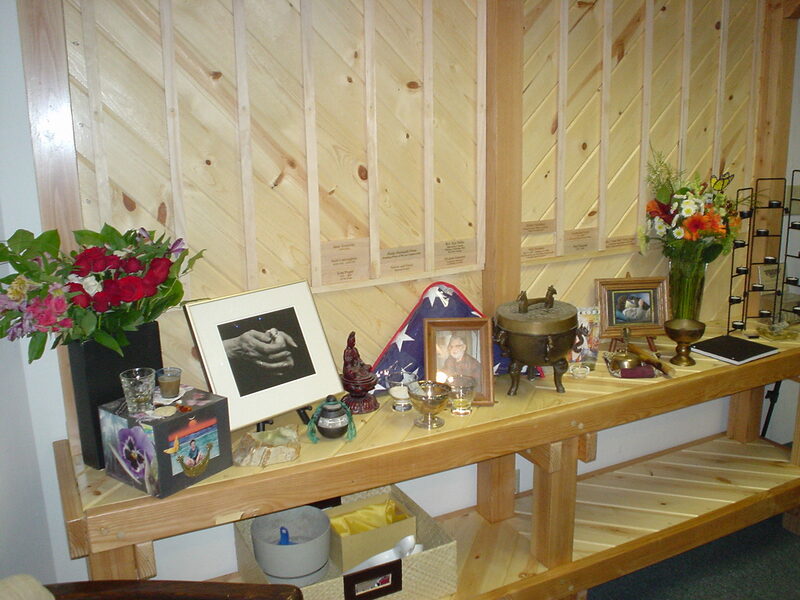 Sacred Paths Center opens national public ancestor shrine and sacred spirit altar. Names of Honored Dead from around the globe can be inscribed on plaques and pilgrimages to make offerings welcomed. Sacred Paths Center (SPC) is a member-supported, non-profit community center serving alternate religions in Paganistan (the greater Minneapolis-St. Paul metro region) and is the only Pagan community center currently in operation in the USA. SPC emphasizes Earth-reverent spirituality, but their goal is to provide quality metaphysical merchandise, intuitive services, education, and practice space for seekers of all paths. Editor’s Note: To read an excellent editorial on the value of honoring your ancestors, please read Galina Krasskova’s article, Indigenous Heathenry. Let me be very clear. The first thing monotheism (and colonialism) did was disconnect us from our ancestors, from our roots, from that precious, precious knowledge of who we are and where we come from. It gave us instead a filter of disconnection, repression, over-intellectualization, excessive stoicism, fear, greed, and confusion. It did this so well that, as I noted above, many of us don’t even realize that we come from indigenous roots; we don’t recognize the filter. Today many Heathens and Pagans talk about reconstruction and restoration, but what does that truly mean? I think reconnection is a far, far better word, and that reconnection begins with the dead. It begins with our willingness to work at that connection. Most of all, it begins with a return to our own indigenous worldview. So how exactly do we reconnect? As one wiser than I said, one ancestor ritual at a time, one offering to the Gods, one prayer, one thread at a time. Each time you honor your dead, you’re doing something revolutionary. You’re subverting the status quo, a status quo based in colonialism, oppression of our folk ways, and greed. Fight that system. Be subversive. This is sorely needed. Ideally, each city/town should have it’s own such space. But it’s a start. My the Gods/Goddesses bless this shrine.